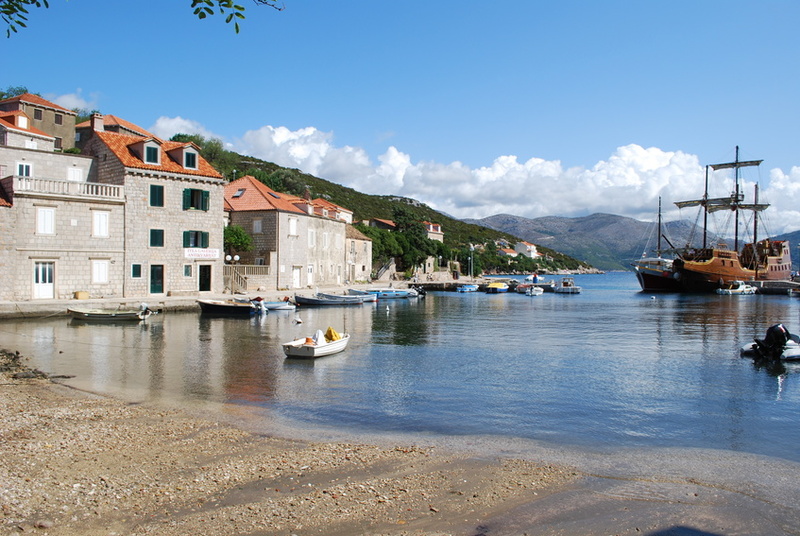 Jadrolinija operate daily ferries to the island, with ferries to Sudjuradj – journey time is 1 hour 15 minutes. G & V Line operate a year-round catamaran service to Sipanska Luka; journey time is 40 minutes. This service sails on to the island of Mljet, whilst in summer (July & August), it also continues on to island of Korcula. There are several churches on the island, including the 11th century St Peter’s Church and the Church of the Holy Spirit which was built in 1569. Some of the Dubrovnik aristocracy built their summer houses on Sipan, the remains of which can still be seen today. The restaurant Kod Marka is a favourite amongst visitors, serving up wonderfully fresh dishes and seafood specialities. There’s a few hotels on the island, including the 3-star Hotel Sipan in Sipanska Luka and the 4-star Hotel Bozica Dubrovnik Islands in Sudjuradj. Private accommodation options – apartments and rooms – are also available; see our Accommodation on the Elafiti Islands section for more details.